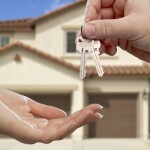 Are you thinking of buying your first home in Indiana? 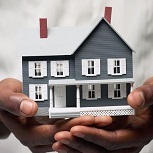 Would you like information on various programs available to help you purchase that first home? If you answered yes to these two questions, there is great news for you. The state of Indiana provides programs and incentives – including free grant money – for its residents who are first time home buyers and need help with the down payment and closing costs. This money comes in the form of state grants. This is free money that shouldn’t be passed up! The grant awards can be in the thousands of dollars. It will be well worth your time to educate yourself about the grant programs that the State of Indiana provides. 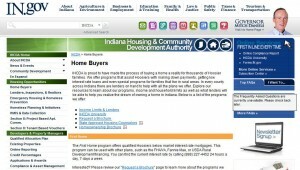 The agency in Indiana that provides assistance to first time home buyers is The Indiana Housing and Community Development Authority (IHCDA). While they do not currently have any such home buyer grants available, they have a program called First Home/PLUS. This is a down payment assistance loan that has a zero interest rate and does not require payments. In effect, they are granting you the interest you would have paid. As an extra incentive, if you remain in your home for a certain length of time, the loan is “forgiven”, which means you never have to pay it back. In effect it becomes a grant, but only after you meet the requirements. To find out more, please visit the Indiana Housing and Community Development Authority website page specifically describing this home buyer loan/grant program for Indiana. 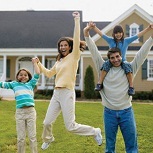 The First Home program offers qualified Hoosiers below market interest rate mortgages. This program can be used with other plans, such as the FHA/VA, Fannie Mae, or USDA Rural Development financing. You can find the current interest rate by calling (888) 227-4452 24 hours a day, 7 days a week. The First Home/PLUS program offers the First Home special mortgage rate, as well as 3.5% down payment assistance. Capped at $3,000 with zero interest , this is a perfect program for Hoosiers who do not refinance once they have moved into their new home, and who are also committed to staying in their new home. The Down Payment Assistance funds must be repaid in full once the borrower sells or refinances the home. The Homebuyer Assistance Program is designed to assist households with overcoming what is usually the biggest hurdle to such households purchasing a house: the initial cash layout (e.g. down payment, fees, closing costs, etc.). Under this program we will assist qualified households whose income does not exceed the 80% moderate-income limits for the area as established by HUD. We can provide funding for principal reduction to make homeownership a reality, however the applicant must be able to obtain private mortgage financing. 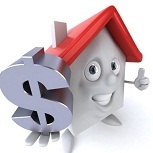 The maximum assistance available is $5,000 per household for qualified buyers. Home price cannot exceed 95% of current FHA LOAN LIMIT for Lake County. “You think you want to own a home someday, but you’ve got questions. Can I afford it? Will I qualify for a loan? Is now the right time? Or, maybe you just want to do it better this time around. The Mortgage Credit Certificate program offers first-time homebuying Hoosiers a Federal tax credit. The tax credit amount ranges between 20% and 35% of the interest paid on a mortgage each year, depending on the mortgage loan amount. The maximum credit per year is $2,000. This program is available on a limited basis when announced by IHCDA. This entry was posted in First Time Home Buyer Grants, First Time Home Buyer Info, First Time Home Buyer Programs and tagged First Home/PLUS program, IHCDA, Mortgage Credit Certificates. Bookmark the permalink.